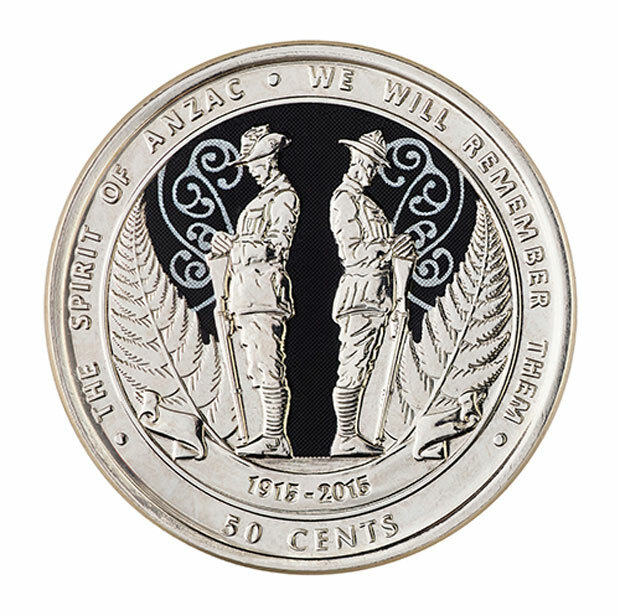 I love, love, love the idea of a commemorative coin for the 2015 ANZAC Day celebrations but I have a question for the Reserve Bank…who are the soldiers on the just announced coin? I notice that there is a Maori design behind the soldiers, but it seems to me that the jaw lines and recognisable facial features of the soldiers seem very Caucasian. Please correct me if I’m wrong (and I’d dearly love to be wrong) but it would appear to me, that in a country with a bi-cultural agreement we are celebrating two Pakeha soldiers and the Queen (on the other side). If the designer of the coin could let us know who the soldiers are modelled on I’d happily withdraw my speculation, but from here that’s how it reads to me and if I am correct then someone needs to be educated about Maori who fought and spit their blood on the beaches of Gallipoli. Again if I’m wrong please let me know so I can redress my observation as I certainly don’t want to cast aspersions.